Hartley is a tiny village full of history; it was a judicial and an administrative centre on the Great Western Highway, until the rail line towns became more popular. Hartley has less than 500 people today. The Courthouse built in 1837 designed by Mortimer Lewis, operated over 50 years and convicts, robbers, horse rustlers, thieves all entered the docks of this quaint yet historical courthouse. 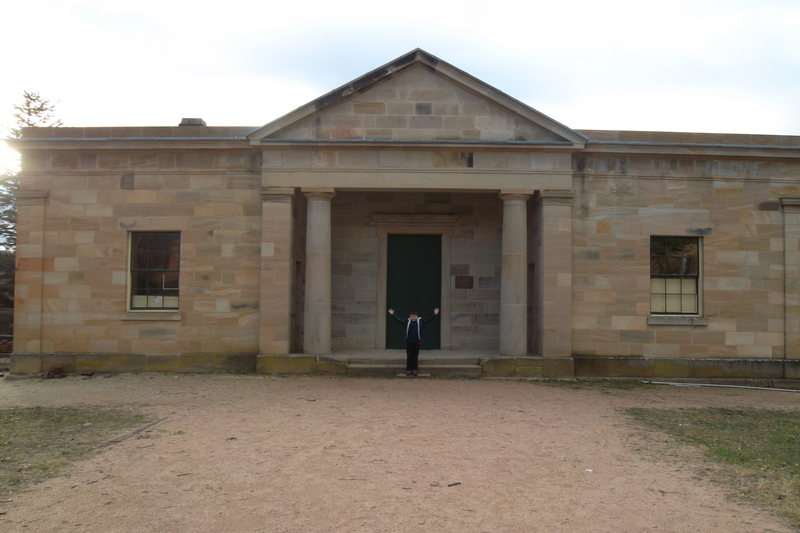 Today it is still in perfect condition and has been preserved by NPWS as a historic site of NSW. Hartley consists of Hartley, Little Hartley and Hartley Vale. 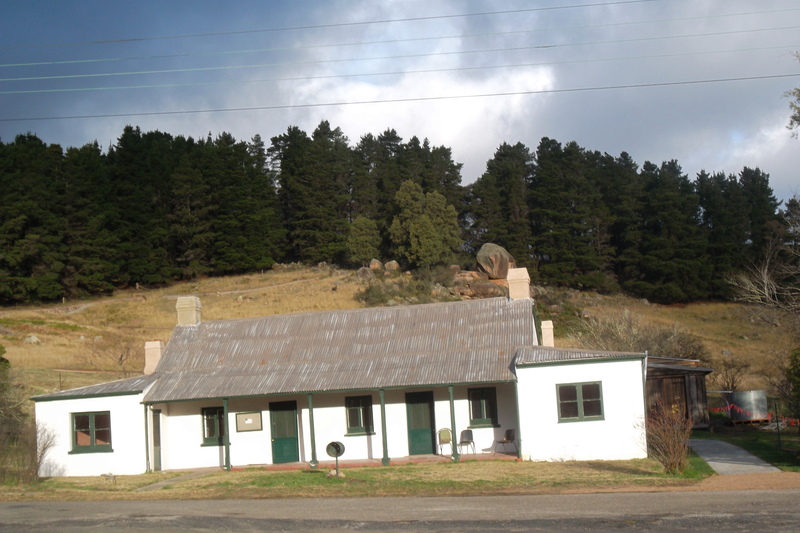 These villages today are still residential and feature historical houses like Rosedale Historical home, Comet Inn, Collits inn and Hartley Vale Cemetery, along with walking tracks from Hartley Vale and Mount York. 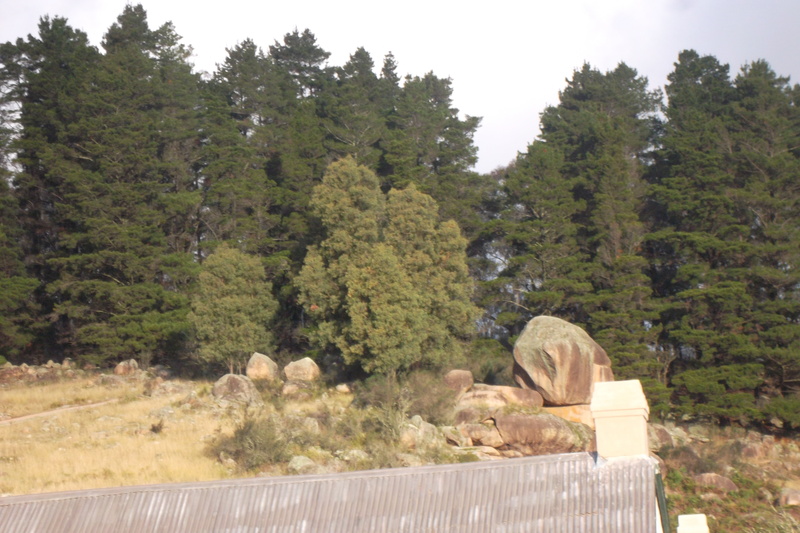 Granite boulders just rise from nowhere adding more majestic beauty to this village. 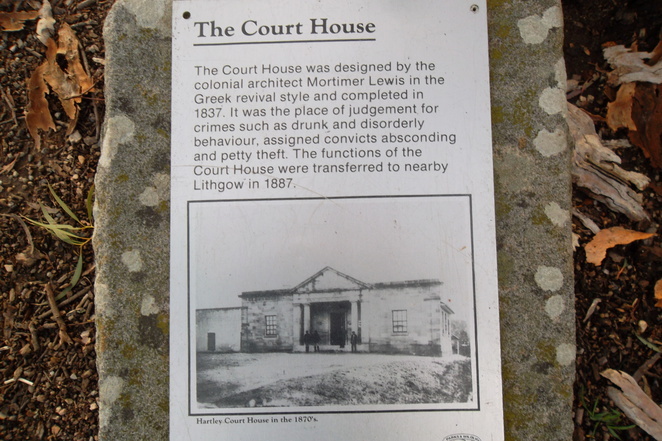 Hartley Courthouse has links with our Convict Era. A reminder of the Crossing of the Mts in 1813, of Mitchell created a road to the west carved through rock, keep in mind Strzelecki, who discovered gold and the builders Ross Coulter and Robert Reddie. In 1837, at a cost of 1,476 pounds, the building was a colonial court house till 1887. It wound down to bankruptcy, works compensation and bankruptcy type cases in the later years. Hartley Court house remained operating and I'm lucky enough to have a Grandfather who presided in Hartley Court and Lithgow Courts in the 1920-1940's. This is a Court house full of history and markings in the cells dating back to the convict era and yet it is so well preserved. Some precious pieces of our history can make us go back in time and imagine the horse and buggy down the road, the bush rangers in the area, the aboriginals. History is truly preserved in this quaint village of Hartley. Hartley is a Village you have to see for yourself a must stop on your way to Lithgow. James St Underbridge Lithgow, built in 1869, is the Second Oldest Railway Stone Arch Bridge in NSW and still used today. John Whitton, Engineer in Chief for the rail between 1856 and 1890 and the only Whitton designed bridge remaining on the Lithgow side of the Blue Mts. John Whitton was described as The Father of NSW Railways", responsible for establishing the framework of the NSW Rail Network. The Bridge signifies, the era and integrate design of the stone arch bridge that is not commonly seen among the NSW Rail Network. 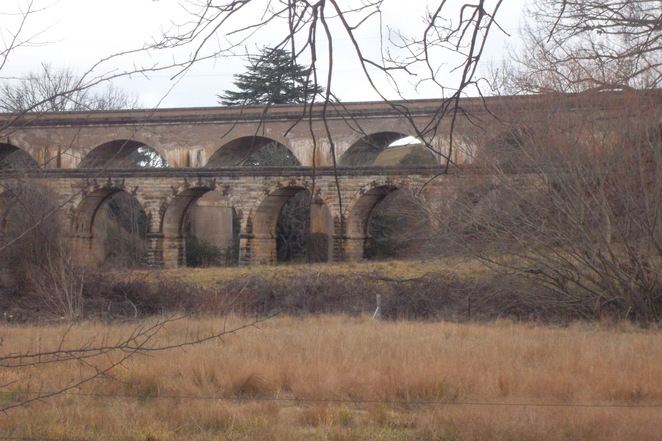 James St Bridge has a 3 span, dual track, sandstone arch viaduct railway bridge has 20 feet clear between the solid stone piers and abutments with a low stone parapet. The arches are half circles in elevation with sandstone imposts at the junction of the arches and piers. The bridge is still in moderate condition considering it carries the double track Main west line over the top of James Street, several cracks and erosion in the stone arches are visible The parapets are out of line with missing mortar and vegetation is growing on the south wall of the bridge. The Main West Railway Line commences at Granville, Sydney and terminates at Bourke and was completed in 1885. John Whittons single track network were operating at overload paces. Zig Zag, The Main West from Emu Plains to Bathurst, and the Main South from Picton to Harden and Main North Maitland and Muswellbrook. Not forgetting, the freight and coal trains. Lithgow in 1891 made a second line Lithgow to Bowenfels in 1891 and 1922 extended to Wallerawang. 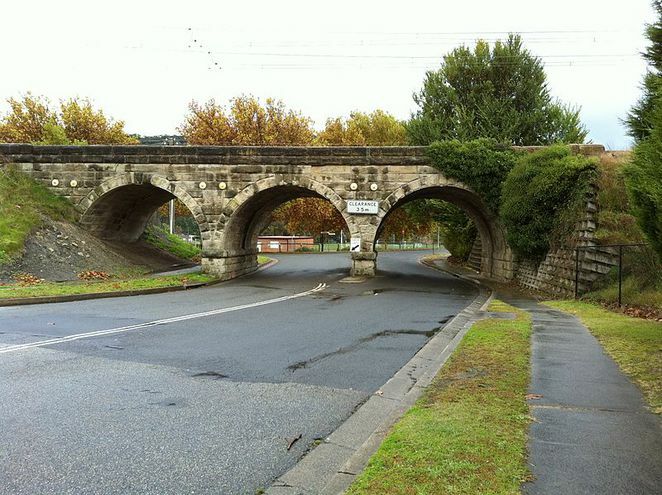 The Stone Arch is the Second Oldest Two Track Arch Bridge in the Railway of NSW. Lithgow to Bathurst extension, was completed in 1875, the reason for Jame St Stone Arch for coal supplies from the mines to the rail and transportation reasons. After Jame St Bridge, Whitton was forced by budget to build single track networks. They were gradually pushed aside for the more practical double track brick arch bridges and the James St Bridge continued it purpose. To be honest, I did travel under this bridge, but didn't realise its significance till after I passed it, this is how easy it is to drive past history and not even know it. Follow the road from Lithgow Tourism, turn left and follow the road around past the caravan park and to your left, before the highway, are the Two Bridges. There are other bridges here also but none as popular as the Two Bridges. Not much is known about these bridges to my understanding, except for the history and importance of these two bridges during the coal era and the architectural and workmanship of the arches. A popular photographed piece of Australian History. Eskbank Station (near Lithgow Tourism) is also of interest but I ran out of time, definite stop for next trip.